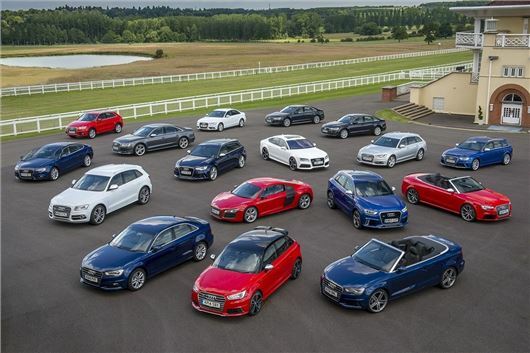 Audi has announced its latest 2.0-litre TFSI petrol engine will deliver 190PS, but with official fuel economy of 56mpg. The new engine is set to make its first appearance in the next generation Audi A4, due later in 2015 – but it will also be fitted to other Audi models. The 1984cc engine produces peak torque of 320Nm from 1450rpm, meaning it will offer strong acceleration from low engine speeds in all gears. Despite its strong performance the engine promises to deliver emissions of less than 120g/km. Despite being less powerful, the current 170PS 1.8-litre TFSI petrol engine emits 134g/km and has official economy of 49.6mpg, plus it has a narrower spread of torque.